2017 has proven to be a busy year for all of us at Wine Academy Italia. In addition to existing venues we have successfully launched WSET courses at beautiful Casa Chianti Classico in Radda in Chianti, Tuscany. 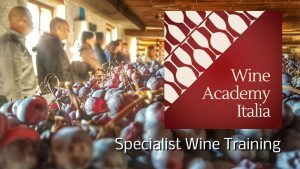 For the remainder of 2017 we have WSET Level 2 and 3 courses available at a variety of locations across the country. Besides this, we are delighted to be working with a number of organisations in order to provide tailor-made wine training courses in the English language. Wine Academy Italia offers access to highly experienced tutors. All tutors are WSET Diploma graduates and Certified Educators who have worked extensively in the international wine business, the team is led by Jane Hunt MW. By providing our clients with English mother tongue educators we can offer students a unique perspective in Italy and further develop communication skills. Summer is a great time to enrol for your next course, the perfect opportunity to prepare in advance. Please email info@wineacademyitalia.com or visit wineacademyitalia.com for more details.